The all-new miniVAP introduced for 2012 has proprietary patented technology that is a step ahead of anything on the market. The miniVAP is a new high-tech, multi-use vaporizer that can vaporize materials using less power input than any other vaporizer on the market. Further, the miniVAP uses new materials as part of its patented process. The combination of revolutionary design and new materials means that nothing even comes close to miniVAP. "Our design is patented in countries throughout the world,” said Steven Steinberg, President of Slide4less Inc.. “The miniVAP offers a truly scientific approach. Most other vaporizers do not use patented technology. Furthermore, the miniVAP is the newest and most advanced patented vaporizer design on the market! The miniVAP can maintain vaporization temperature more accurately than any other portable on the market. In fact, other portable vaporizers such as the Magic Flight, the Iolite, the Arizer Solo, and any other portable vaporizer can't even come close to the accuracy of the miniVAP." Purity of the vapor and control over vaporization temperature is what a vaporizer is all about. Consumers get the very best with the miniVAP because only the miniVAP design assures complete vaporization with the most advanced materials. Many people think that high-tech vaporizers like the miniVAP are just too expensive. While the miniVAP is more expensive than many other vaporizers, it also vaporizers more efficiently, so the miniVAP actually saves the user money in the long run because it extracts more from the material and therefore makes the material go further. 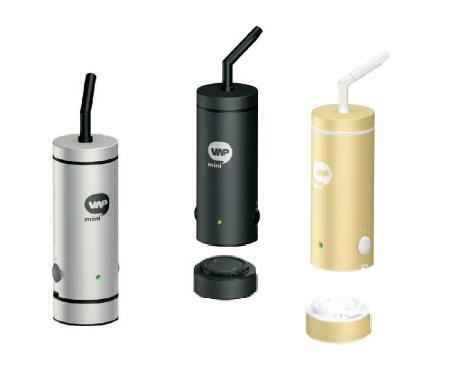 Many vaporizers do not offer patented technology, and the miniVAP is not only patented, but it is scientifically developed using the most recent methods and materials. So, the miniVAP is literally a step ahead of all other vaporizers. That's why Slide4less Inc. can offer a 60 day money back guarantee and a warranty that’s good for 3 years after the date of purchase against any defects. Now anybody wanting to try the miniVAP can do so risk-free. Many lesser portable vaporizers actually burn the material or they do not offer control over the vaporization heat. With the miniVAP people can start with a lower heat and increase the temperature, which allows for more efficient extracting in many cases. Other vaporizers have no control over the heat whatsoever. Still others go above vaporization temperature. And none can hold the temperature like the miniVAP. Even at maximum throughput, the miniVAP still maintains the temperature. No other portable even comes close. The miniVAP is exclusively distributed by Slide4less Inc. Call 1-800-659-8731for more information or to place an order. Alternatively the miniVAP can be purchased on Slide4less Inc.’s wholesale website at http://www.vaporizeit.com, or on their retail web store http://www.authorizedvaporizerdealer.com. Purchase the miniVAP today and try it risk-free!